USPA NEWS - Direct-To-Consumer (DTC) Testing is on a High rRse after the Food and Drug Administration (FDA) announced the Premarket Approval Process for Genetic Health Risk Tests. Given the Reimbursement Cuts, it is essential to understand how this can impact the Revenue-Generating Abilities of Clinical Laboratories and what Strategies they can take now to keep the Business Profitable. Direct-To-Consumer (DTC) Testing is on a High rRse after the Food and Drug Administration (FDA) announced the Premarket Approval Process for Genetic Health Risk Tests. Given the Reimbursement Cuts, it is essential to understand how this can impact the Revenue-Generating Abilities of Clinical Laboratories and what Strategies they can take now to keep the Business Profitable. 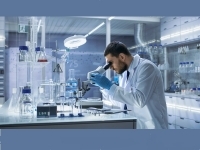 Frost & Sullivan invites you to join our Transformational Health team, for the webinar "Future of Clinical Laboratories - Winning Strategies & Growth Opportunities," on Tuesday, March 5, 2019, from 1:00 PM to 2:00 PM Eastern Time. Our Global Life Sciences Expert Divyaa Ravishankar, Industry Principal; and Kyle Fetter, Executive Vice President & General Manager of Diagnostic Services at XIFIN, will provide Insights into some Winning Strategies that can help Laboratories Combat the Deep Cuts Issued by the Protecting Access to Medicare Act (PAMA) in the United States, and the Clinical Lab Scenario in Europe and Canada. As the Market is witnessing Heavy Consolidation, both Hospitals and Laboratories are adopting New bBsiness Models and diversifying their Revenue Channel through Acquisitions.